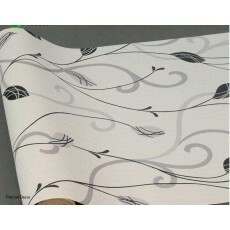 With quite a large number of designer wallpapers, people have the chance to choose and buy what they want. A grey white wallpaper is among the most decorative wallpapers that people install on the walls to give a room the kind of a look they prefer. These wallpapers not only gives a sense of beauty, it’s also an item that provides the kind of environment that one desires. A person that loves flowers will go for floral grey white wallpapers. This is because these are quality wallpapers that provide an attractive appearance, which makes a room have a sense of beauty. With a combination of high-quality wallpapers and professional decorators, expect nothing but the best from us. Looking for the best wallpaper selling shop? Petcarl-Décor is your one stop shop. Our products are sold at a pocket-friendly price, and for a selected variety of items, we offer shipping and installation services.